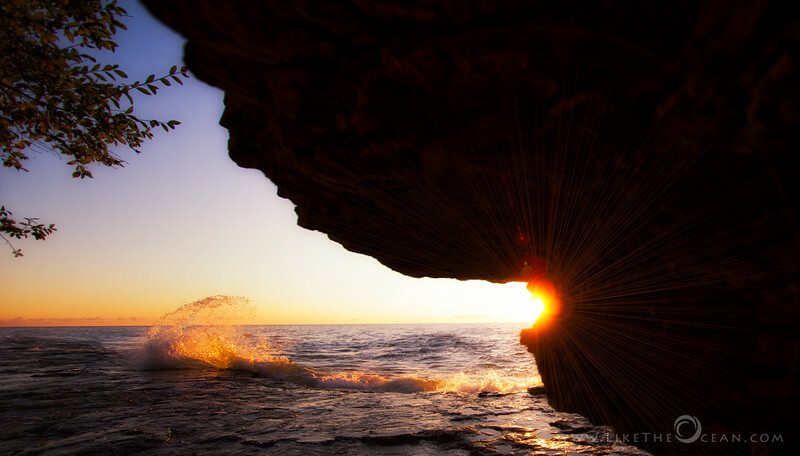 Cave Point is a little park - off the beaten track with beautiful views of the rock ledges along Lake Michigan. This probably is the most beautiful areas in Door County, WI. The hiking was fabulous and allows to enjoy the thrill of climbing down the rocks to get close to the waves crashing against them. Make sure you wear good shoes as the rocks can be a bit tricky especially if you want to climb down towards the water. The effects of water and wind erosion on these cliffs is very prominent, leading to the creation of carved pools and caves (hence the name). Witnessing a lovely sunrise from one of these caves, as the high waves and the cold water was splashing across, along with the early morning breeze caressing the face - It was just serene & breathtakingly beautiful.